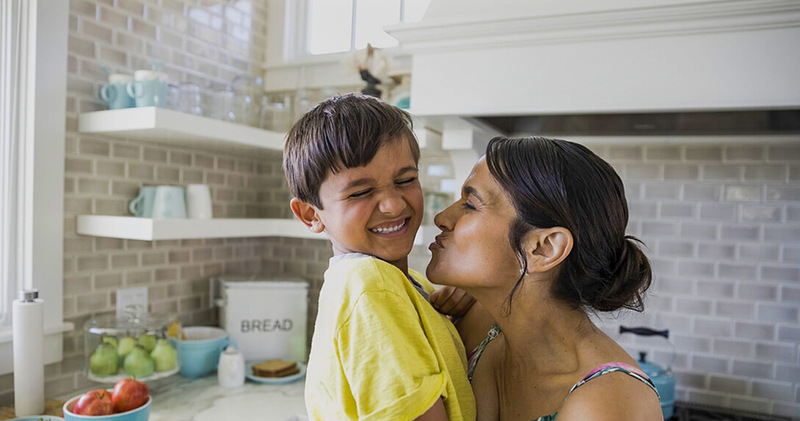 LabXpress, of Phoenix, Arizona, was founded by Scott Farrell with the goal of providing low-income individuals with accessible and affordable medical testing services. Farrell has been a vigorous activist for Arizonians in need by providing high quality, no cost or low cost reliable health services. LabXPress provides individuals with free glucose or cholesterol testing, or both for the minimal fee of $5. 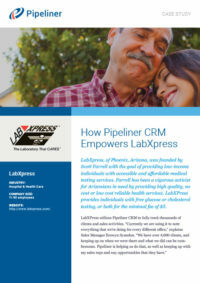 As is the case with hundreds of thousands of Pipeliner installations, LabXpress sales reps love Pipeliner, too. Symolon gives an example. “One of our reps was hesitant at first. He’s not one that usually likes change—I guess most people don’t. It took some coaxing. It took me meeting with him and training him, retraining him a couple times. “But about a month ago he was just ecstatic and realized how helpful it was, how much easier it was making his life when he was in the field. He could just pull up the information, and it was right there for him. It had the maps, it had everything he needed. And also when he has to send in his weekly report, he can find the information quickly and easily. One of our reps was hesitant at first. But about a month ago he was just ecstatic and realized how helpful it was!